Cawl y Pocole is a collaborative series of works made in 2008/9 with artist Fern Thomas, at a residency in Morelia, Mexico. The focus of the residency was Identity and memory. With a continued and shared fascination with food preparation and origin and community, we created work which examined a sense of culture, memory and identity associated with traditional and familiar meals. 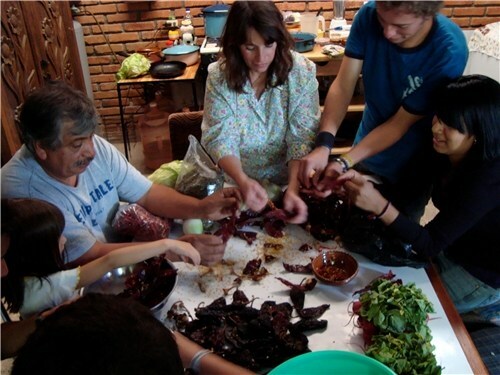 The project linked the local and the global through comparing domestic situations and the everyday, seeking to give a renewed importance to the act of cooking and eating as a creative and social act. The worked proved to be an important development in our working methods and collaborative practice and in how we work internationally and responsively. During the time in Mexico we interviewed and collected material both visual and audio in connection to food and the market and created daily posters based on observations as a series of creative strategies. These posters became a small publication and asserted our position as outsider/observer whilst the live work and filmed works required us to both create / organise events. 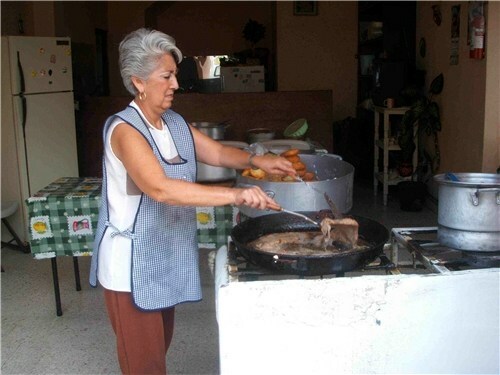 In preparation for the residency we filmed Ann Sorocca, a woman from Ystradgynlais, South Wales cooking a traditional Cawl and in Mexico the Lechuga family cooking a traditional Pocole. We also interviewed market stall traders who cooked traditional street food, it seemed as if in every doorway someone was cooking or had set up a temporary kitchen and was selling a bowl of food. 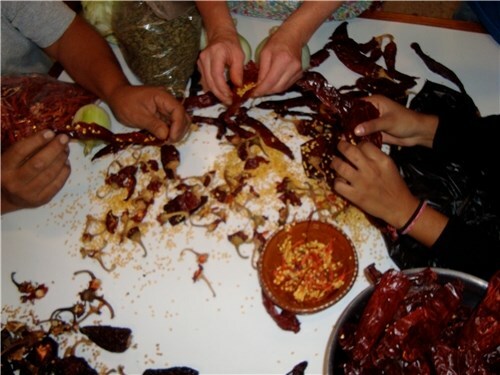 The sense of event or ritual in a meal time is still very present part of the culture in Mexico even on a day o day basis. Cawl and Pocole seeks to examine not only our own disconnection from food and its importance but as social gathering and an important act of nourishment. 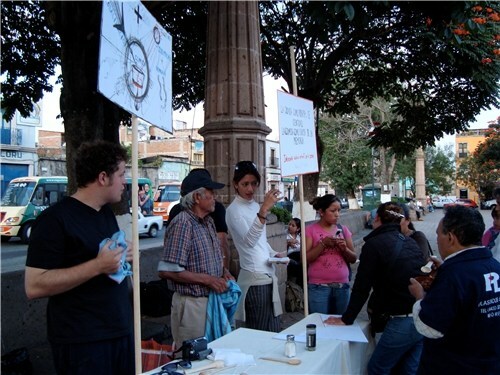 The works took the form of a live event and as film or documentation, other works created as part of Cawl Y Pocole in Mexico included posters, drawings, and photographs. Live works included cooking a Cawl in a public space to introduce our work and ideas. The work was exhibited at the end of the residency at the Museo Del Stad, Michogan State. Funded by Wales Arts International and coordinated by Elizabeth Ross. With thanks to Ann Sorocca of Ystradgynlais and The Lechuga Family, Morelia.